This kind of feature is a little unorthodox for us since we don’t typically focus on just cakes, but when a masterpiece like this pops up, you don’t turn it away! 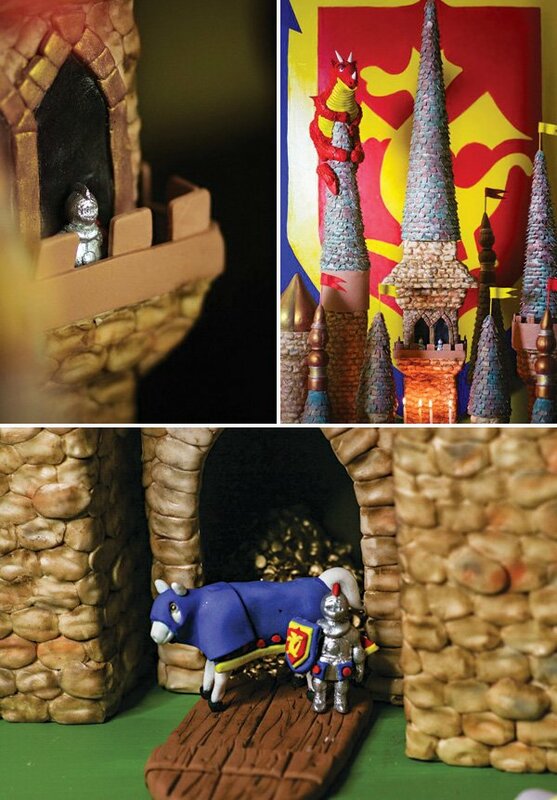 Alex Narramore of The Mischief Maker is clearly an incredibly talented baker, as she constructed this AMAZING Medieval Castle Cake & Dessert Table all by hand! 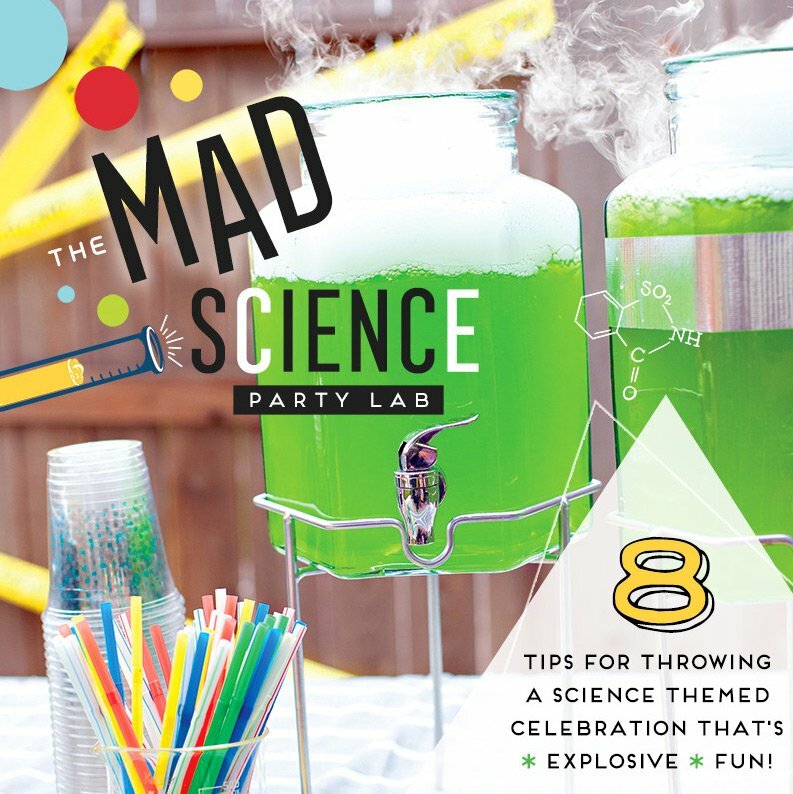 The details are simply jaw-dropping, Alex even thought to throw in a few fun surprises! 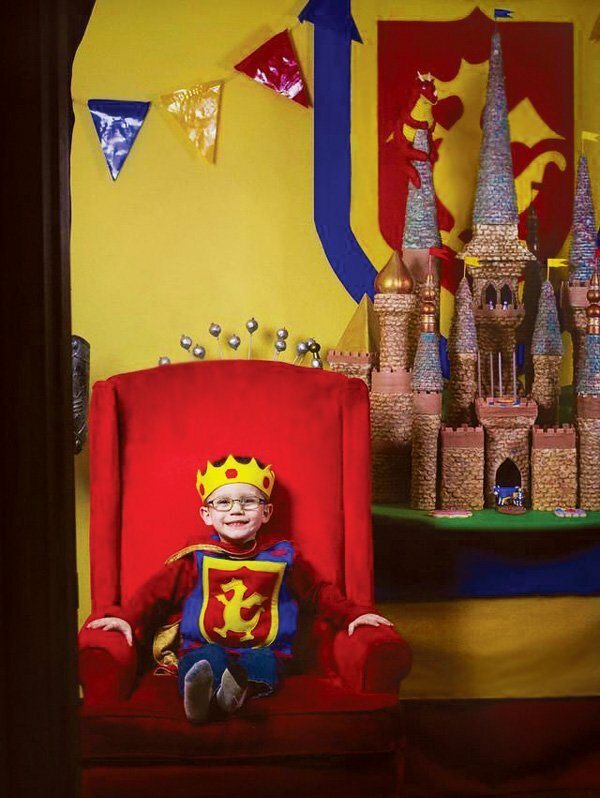 :) I’m sure this little knight was absolutely stoked to be the King of this castle. 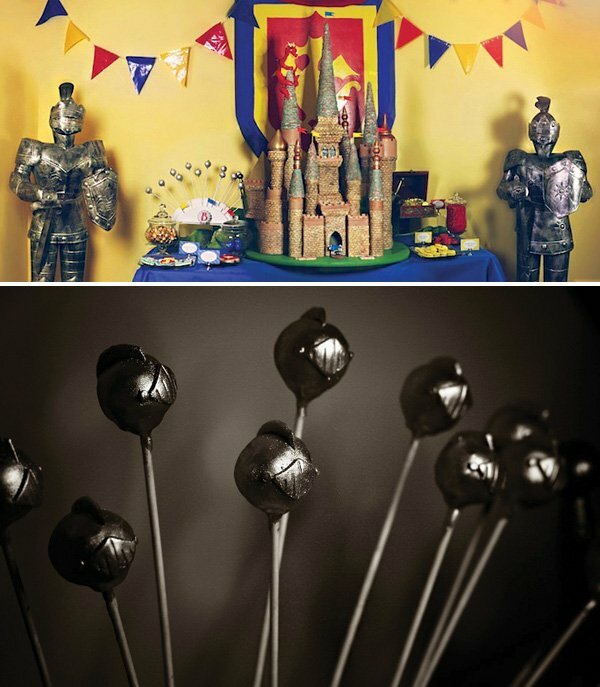 For this party, we really wanted to do an updated version of the medieval castle party. The entire party was based around the birthday boy’s costume, which featured primary colors and a dragon crest. 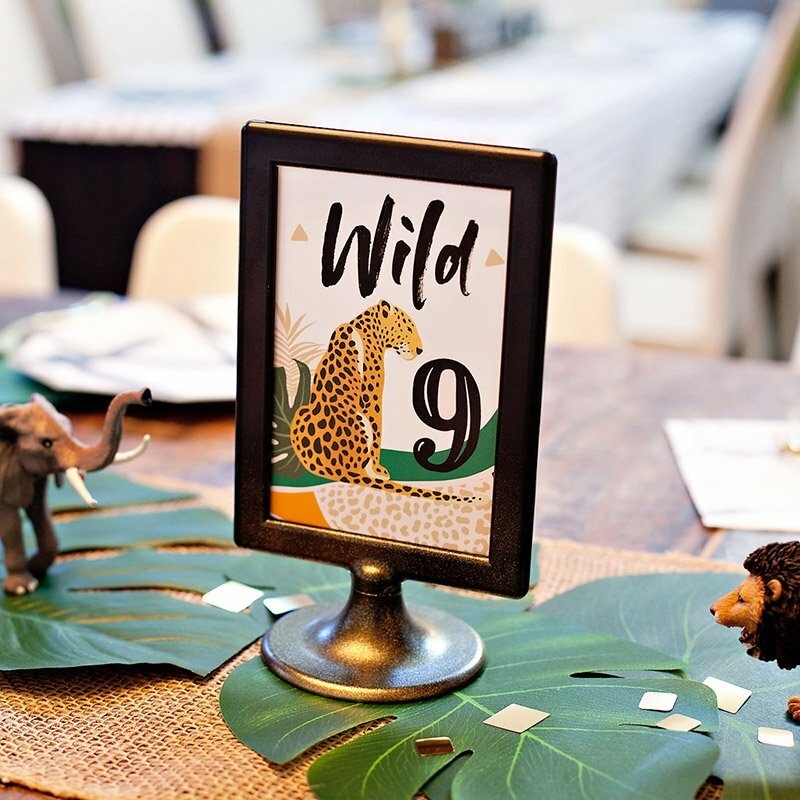 The outfit served as inspiration for the custom linens and background that hung on the wall behind the tablescape. The sugar knight at the entrance of the castle also has a matching shield. 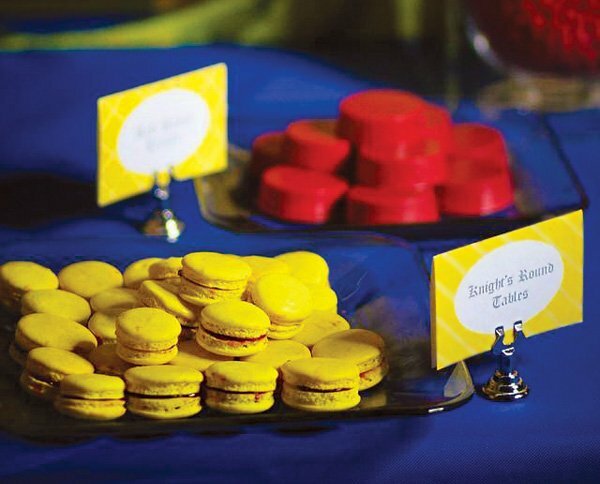 The cookies at the party were made to order by Dolce Desserts to match the outfit, party, and Barrett’s likeness, as well. 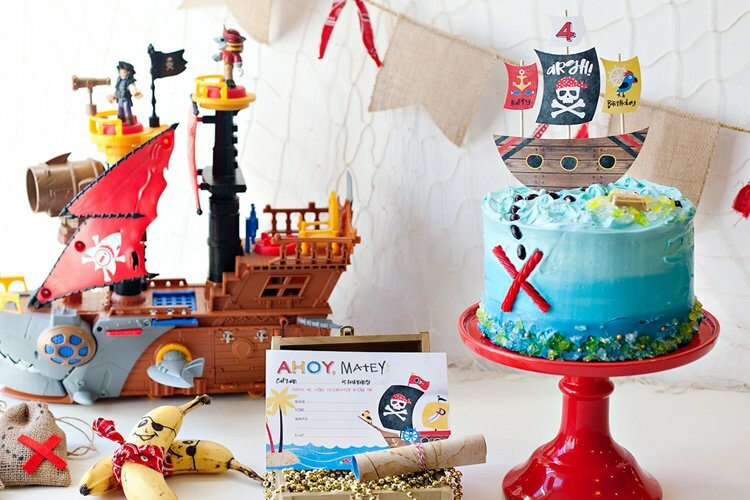 The dessert tablescape, custom linens, custom castle cake, and other desserts are by The Mischief Maker. 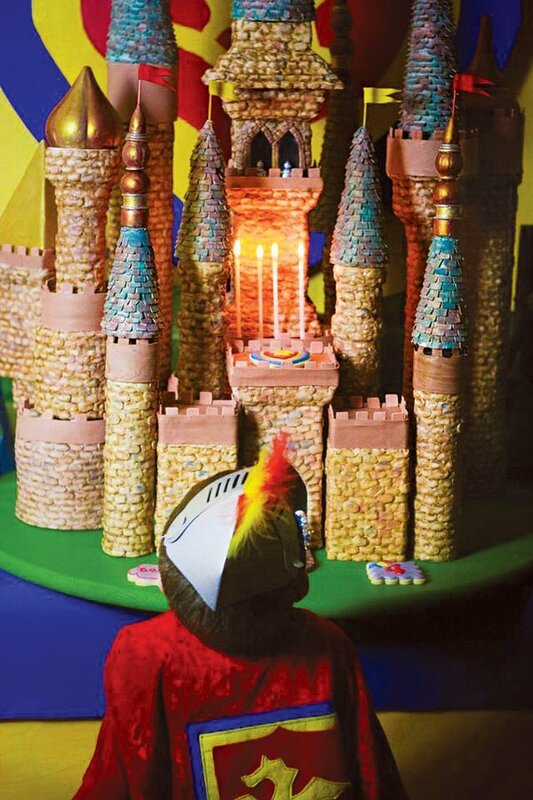 The castle cake serves as the centerpiece to the table! With thousands of hand placed sugar roof tiles, and individually placed and sculpted sugar stones! The cake was over 6 feet tall. It featured hand sculpted sugar figures including three sugar knights, a sugar jousting horse, and a very large sculpted sugar dragon. The dragon too had individually hand placed sugar scales that were each highlighted with a trace of gold. 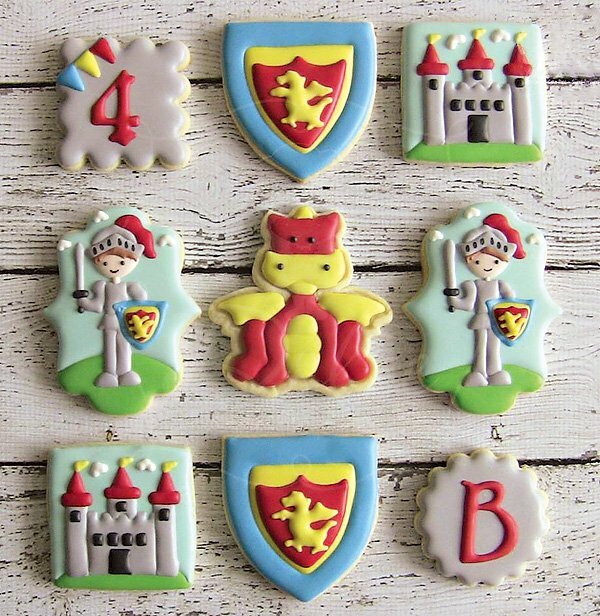 The dragon sat on a turret above the castle, waiting to take the sugar sculpted gold from the knight guarding the entrance of the castle! 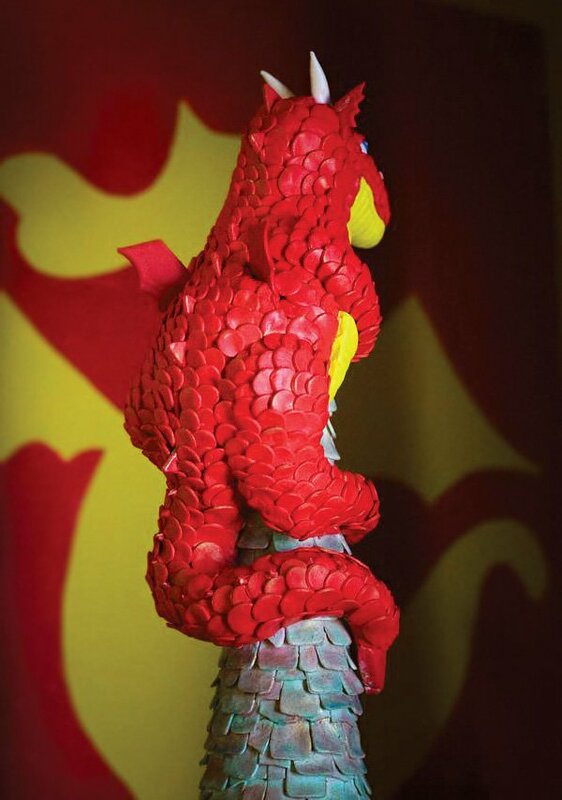 The dragon is sculpted entirely from sugar paste. 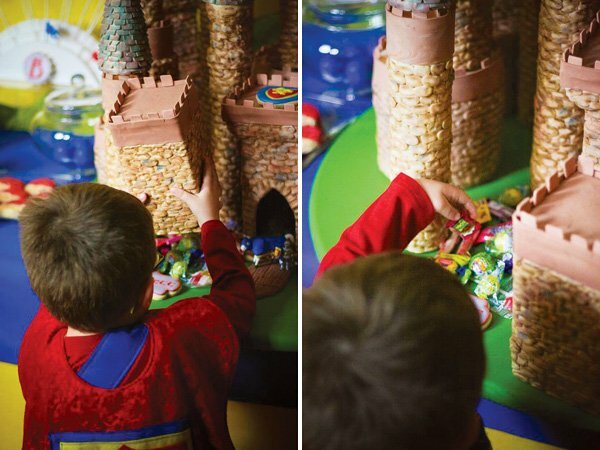 The pillars of the castle are called “piñata pillars” and were filled with various prizes and candy that the kids could pull up on to reveal their sweet treats! The remaining part of the cake served 166. The flavors included: vanilla chocolate chip cake with milk chocolate ganache and peanut butter Swiss meringue buttercream and white buttermilk cake with Swiss meringue buttercream. What a cake!! 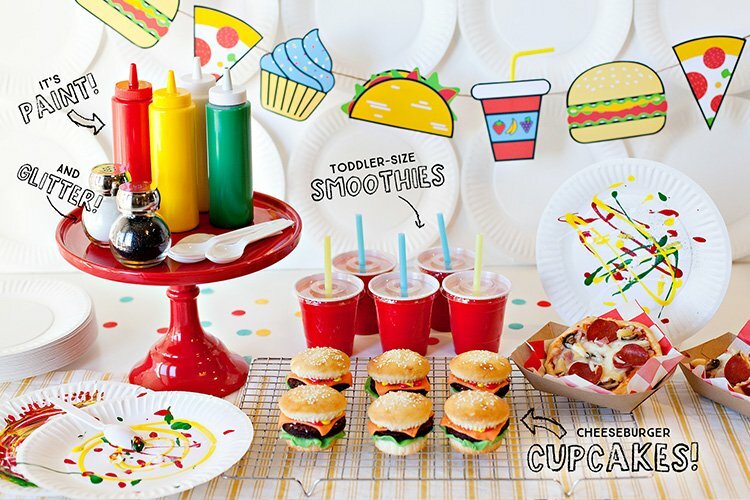 gave me lots of ideas!